March 28, 2016: The Project thanks Steve DuLany for his treasure trove of donated items. 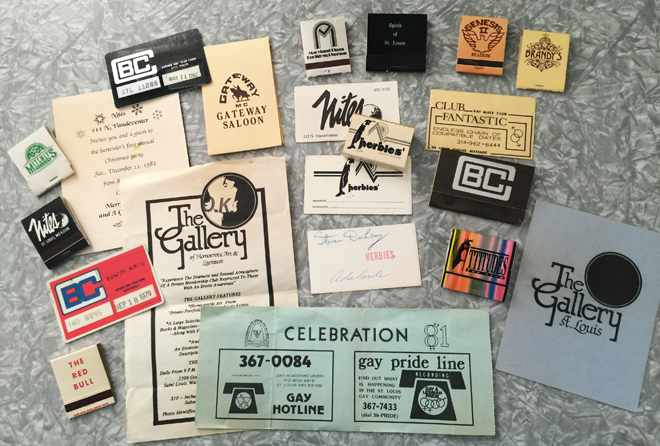 Steve provided an amazing walk down memory lane with matchbooks, event invitations, and membership cards. The signed Herbies' and BC member cards are very rare, as is the Red Bull matchbook. Do you have history hiding in your house? Let us know. 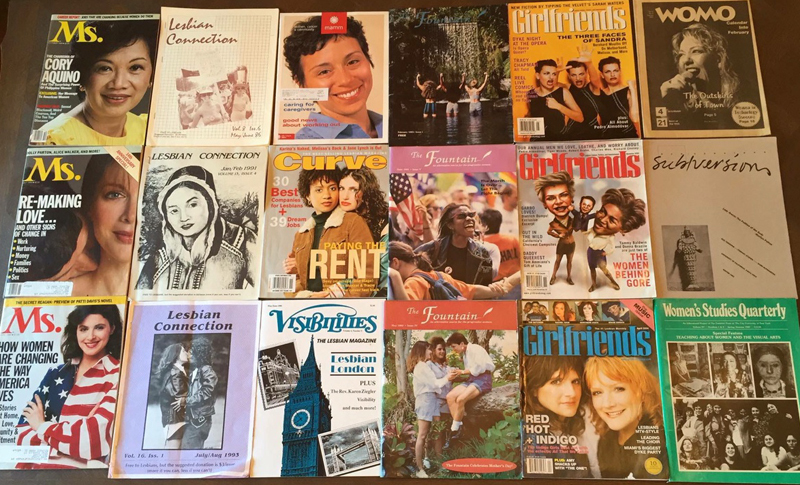 March 6, 2016: March is Women's History Month, and one of the ways that the St. Louis LGBT History Project is celebrating is by sorting through and enjoying a fabulous cache of women's, feminist, and lesbian periodicals. This photo shows just a small sampling of these materials. After the LGBT Center of St. Louis closed last year, the Project was entrusted with the Center's extensive library of periodicals. In addition to a particularly rich selection of women's, feminist, and lesbian titles, the library also contained a bounty of periodicals focused on gay men, HIV/AIDS, and general LGBTQ concerns, as well as special interest publications on issues as varied as LGBTQ spirituality, travel, sports, and parenting. Some of the periodicals date back as far as the 1970s. The Project has been working hard to inventory these materials and to find good homes for them, where they will be accessible to researchers and preserved for generations to come. Most of the periodicals are being given to the Project’s local archival partners, i.e., the State Historical Society of Missouri (locally based at the University of Missouri-St. Louis), the Missouri History Museum, and Washington University Libraries. Additional materials have been donated to the Gerber/Hart Library in Chicago, one of the leading LGBTQ-focused archival repositories in the United States. Special thanks to Betty Neeley for storing most of the contents of the library in her garage for the past few months. 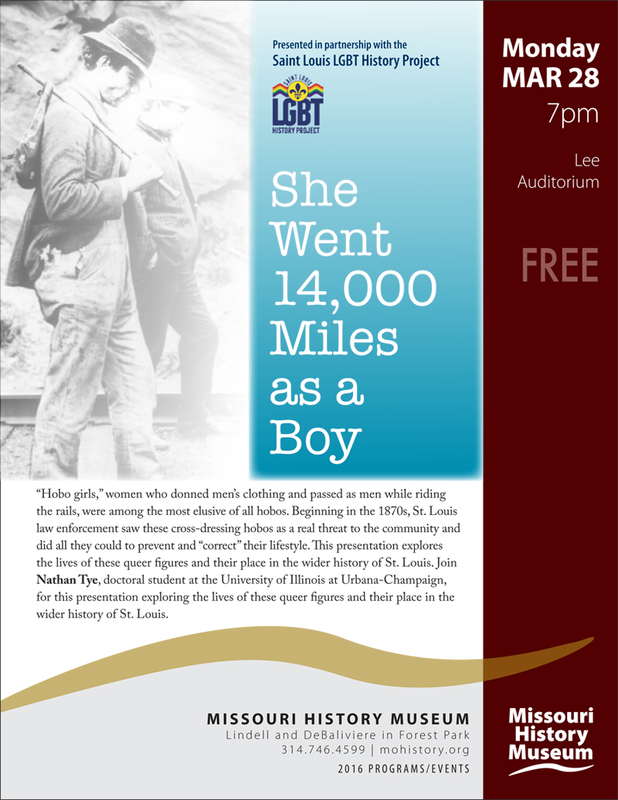 Do you have old LGBTQ publications or historically significant documents or objects of your own? 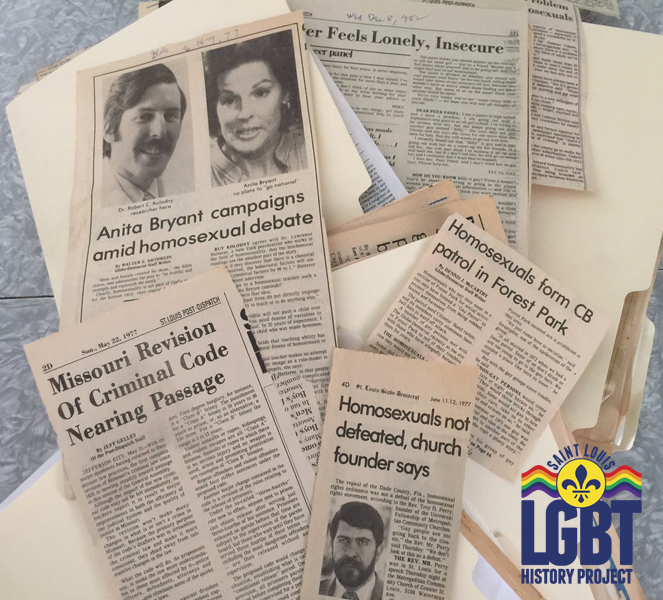 Make sure they don’t end up in the trash—consider donating them to the St. Louis LGBT History Project. February 7, 2016: The Project has amassed thousands of news clips over the years and has been in need of a volunteer to help sort them by date. Well, thanks to St. Louisan Clara Abbott, a student at Haverford University in Pennsylvania, we are one step closer. Over her winter break in St. Louis, Clara volunteered to help organize thousands of news clips by decade - 1970s through 2000s. 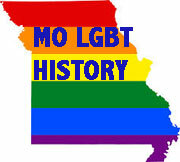 The clips provide a fascinating timeline of St. Louis' media coverage of LGBT people, issues, and events. Thanks Clara for your help. The Project is a volunteer effort and always appreciates community support. Let us know if you have an interest in working with us.